123 Free Solitaire is the logical evolution of the good old solitaire game we all used to play for hours on Windows 95. 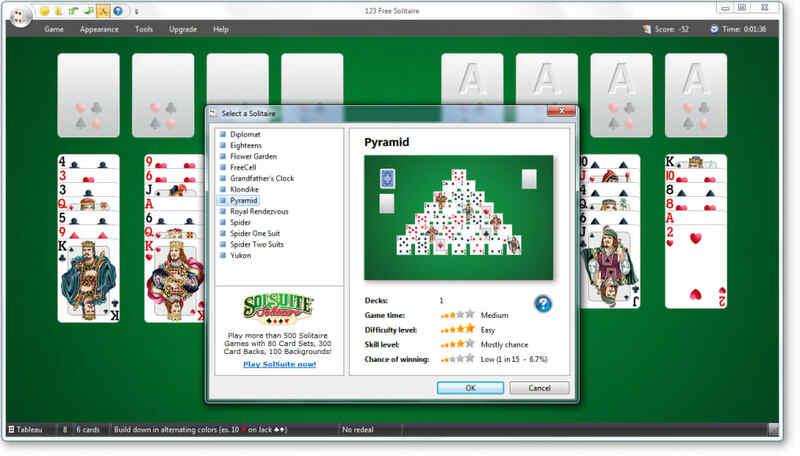 But 123 Free Solitaire is more than just one game; in fact, it includes 12 different types of solitaire games (Diplomat, Eighteens, Flower Garden, Free Cell, Grandfather's Clock, Klondike, Pyramid, Royal Rendezvous, Spider, Spider One Suit, Spider Two Suit, and Yukon) to ensure you never grow tired of playing on your own. 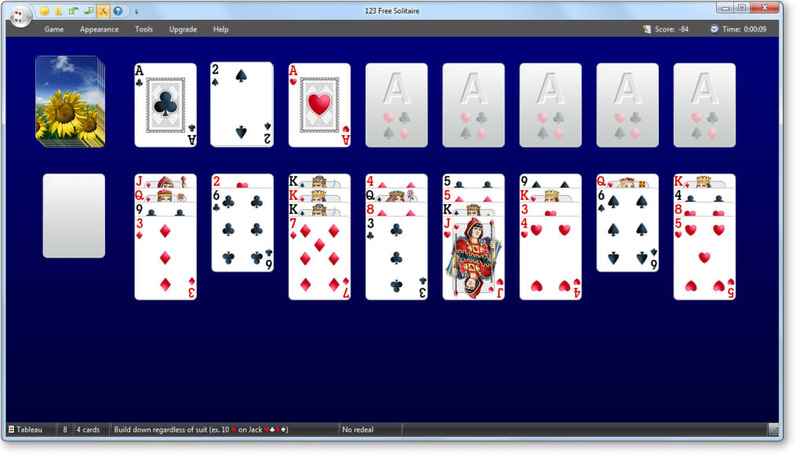 Playing 123 Free Solitaire is quite easy. 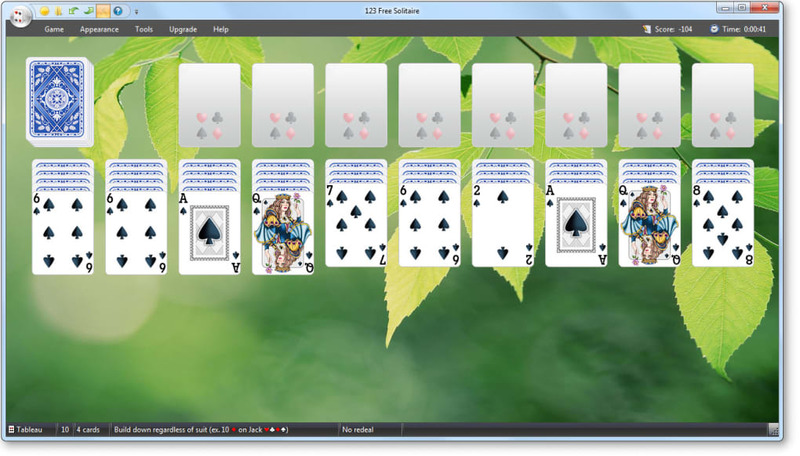 After launching the game, you’re presented with a menu to choose which solitaire you want to play. Simply choose the game and start playing. 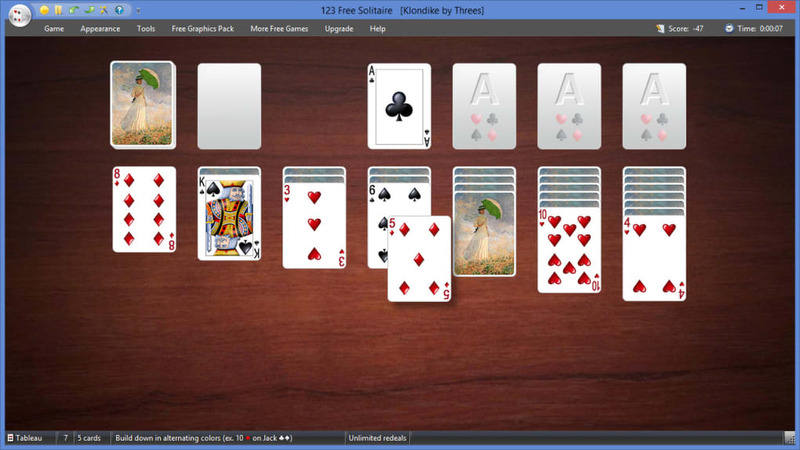 123 Free Solitaire lets you undo and redo moves, and also save the game any time to continue it later. And in case you don’t remember the rules to any of the included games, you can always take a look at the documentation. 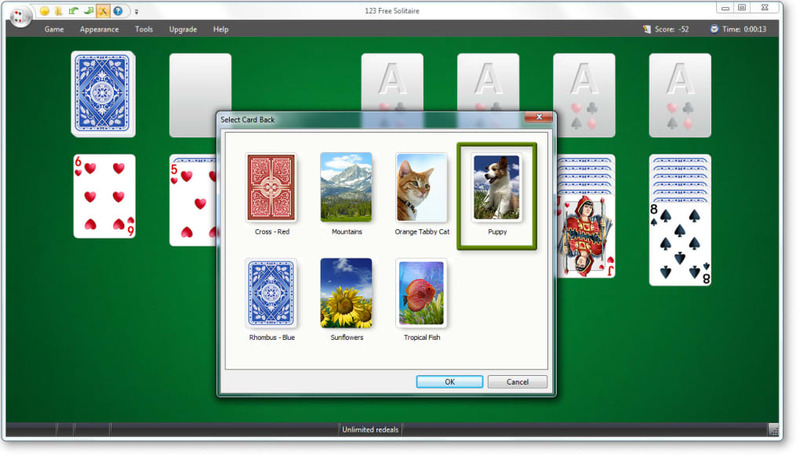 There are a few customization options in 123 Free Solitaire which allow you to change the interface skin, select a different card back and also use a personalized background – instead of the classic green table cloth. 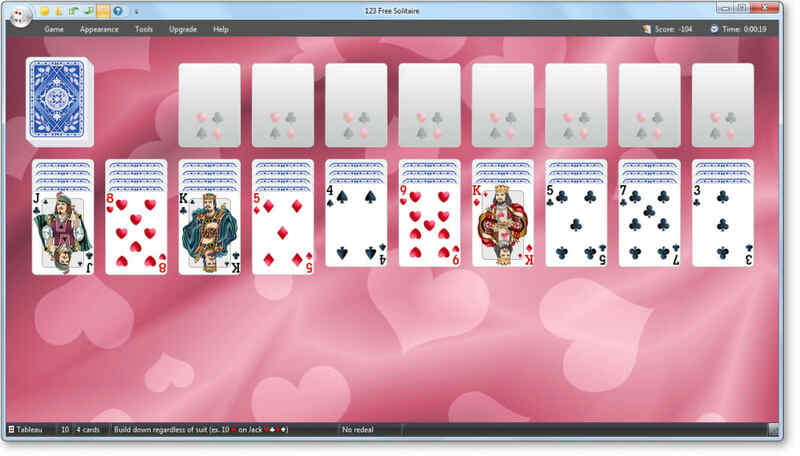 The cards have really nice designs, and are bigger than other solitaire games, but they can't be manually resized - they only change when you resize the window. 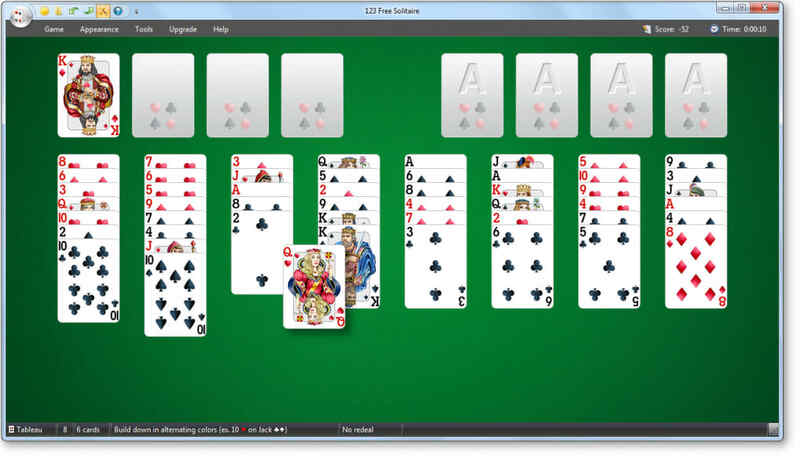 123 Free Solitaire is a great pack of 12 free solitaire games for gamers and procrastinators alike. Lies. 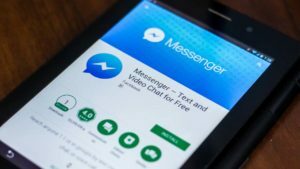 Game is not free. 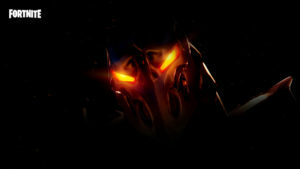 Like all games that say that are free, you have to buy it. 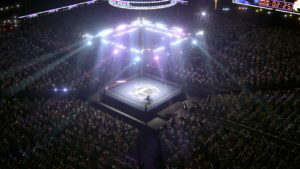 This is a trial version. 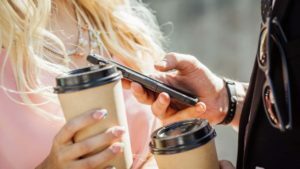 As good a free gets. 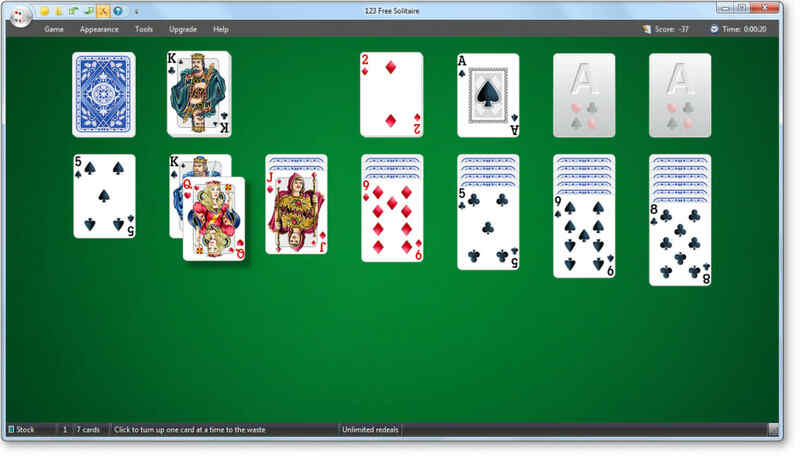 I have had 123 Free Solitaire for a year or two now and it is an excellent game good graphics and etc. I recommend it highly. just sit down and play.